Sunny skies, sandy beaches, summer city breaks; wherever you are off to this summer be sure to pack the practical yet stylish clothing items and accessories. But what men should wear while travelling? What could be the comfortable summer travelling outfits combinations for men? What accessories should you take? Outfit Trends is here to give an insight into what you should be filling your suitcase with. If you are planning to go on beach then must check out best beach outfits combinations for men. Ideally men will benefit from a lightweight linen or cotton shirt or t-shirt whilst on their travels especially to hotter climates. Thinner materials like these are dense enough to protect the skin from sun rays but are also light enough to keep you cool. You don’t have to stick to the usual, casual white linen shirt, with a wide range of colour and pattern choices available it is easy to get yourself noticed. If your destination is cooler on the evenings why not add a light jacket to your shirt? This will not only add layers and depth but will also keep you warm on chillier evenings. Wherever you go it is always wise to take trousers as well as shorts just in case. Jeans can be quite heavy for summer so why not venture towards some khaki cargo pants? Light enough to remain comfortable with the added bonus of numerous pockets for the essentials. Shorts and trousers for men should ideally be elastic waists mainly for comfort purposes but also because pants with zips can create a more formal image and thus will shy away from your casual travel look. 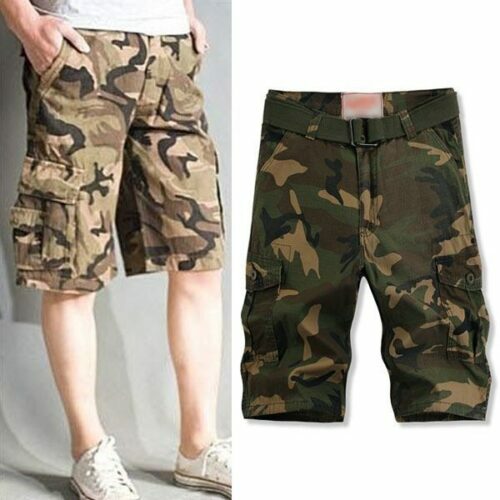 Cargo shorts are fantastic for the travelling male. Why not bring out a bit of military inspiration and venture toward the camouflage print fabric? Accessories for Men During Travelling. Idyllic travel accessories for men can include hats, sunglasses, bags and even, yes even, scarves. One of the favourite types of travel bags for men is the unpretentious duffel bag. They are small enough to be classed as hand luggage and big enough to keep all your other travel bits and bobs. Sunglasses are a traveller’s essential accessory. They are perfect for completing any stylish outfit but will also stop any harmful UV rays damaging your eyes. Men’s summer scarves are as stylish as they are ironic. Creating a suave and smooth yet casual and relaxed mood, scarves are brilliant for enhancing the neckline and framing the face. Choose a scarf that is of a light fabric and a contrasting colour to your outfit. Bags and scarves are great additions to men’s attire because they both create different levels of detail. Bear in mind that safety and security should come first so it is recommended that trousers and jackets should ideally have zipped pockets however this is completely optional. Take a look at the following images and gain inspiration for your own summer travelling outfit. Simple White Shirt with Bermuda and Loafers. This is the most followed travelling style trend during the summer. You would mostly find celebrities in this getup during their holidays trips also. You can also get ideas how to wear bermuda shorts for men with different outfits.